Clear Lake Campground is happy to be the venue for the Old-Time Fiddle Campout sponsored by California State Old Time Fiddlers Association, District 10. Fiddlers and students of all levels and ages are invited to the campground for a weekend of fun and music July 20 through 22. If you'd like to participate, contact Don Coffin (drcoffin@att.net) or Janette Duncan (janettefiddler@gmail.com) immediately to secure your place! The event fee is $45 per person or $60 family rate for 2 people, children under 12 are free. Events start with Friday afternoon check-in followed by an evening potluck and open mic. Saturday starts with a continental breakfast and continues with a variety of workshops, kid's activities and jam sessions. Saturday evening features a Contra Dance and potluck. Participants can use all the facilities at the campground, too, including the swimming pool, playground, boat dock, and spots to fish right along the shore of Cache Creek. Kayaks and canoes are available for rent and there's a small store with basic supplies and fishing bait. There's plenty to do and the location is great, on Cache Creek across from Anderson Marsh State Park. Participants who wish to camp in either a tent or RV space for the weekend ($50 fee) should reserve directly with Don or Janette. The entire campground has been reserved for the fiddle weekend so we won't be taking any camping reservations directly at the campground. Please see the flyer at the end of this post for more information. 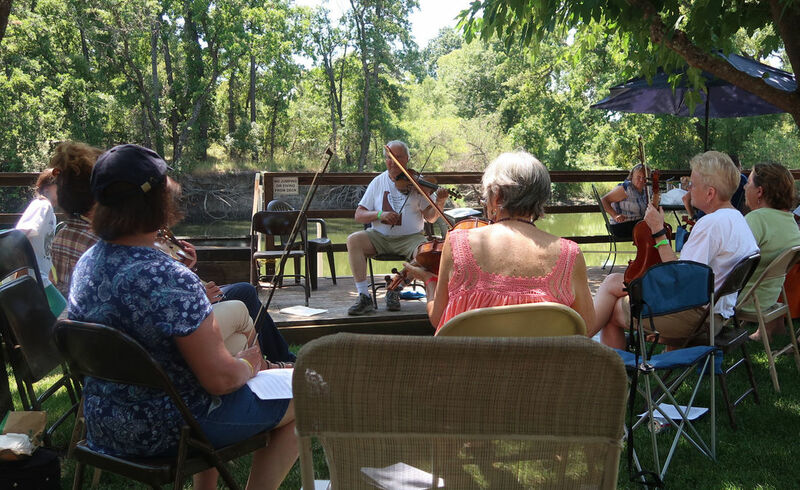 If you can't come for the weekend but like fiddle music, the group also holds a Fiddlers' Jam the first Sunday of the month from noon to 2:00 at Ely Stage Stop Museum, 9921 Soda Bay Rd in Kelseyville, just 15 minutes from the campground. Everyone is welcome, whether you want to join in or just listen, and there's no fee. It's a fun way to end your weekend of camping at Clear Lake Campground. Mark your calendar for an exciting blue grass music festival, also at Ely Stage Stop, on September 8, 12:00 to 5:00, featuring Blue and Lonesome as the headliner. This would be a great weekend for a camping getaway as the music festival is just a short drive from Clear Lake Campground. Book your campsite at Clear Lake Campground now (for dates other than July 20-22). Clear Lake Campground is the perfect place to spend those lazy days of summer. Start your morning with a kayak or boat ride, a walk in Anderson Marsh State Park or fish right off the shore. Spend the hot afternoons lounging by the pool or going in for a swim. 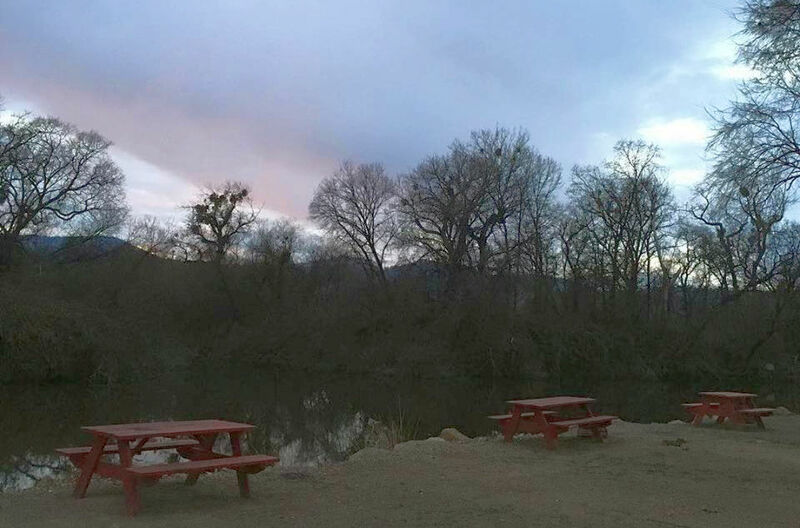 Evenings are often beautiful, a great time to kick back, have a barbecue, and enjoy your spot along Cache Creek. There's something for everyone whether you like to fish, experience nature, or just relax. At the campground we have canoes and kayaks for rent, boat ramps for launching your own boat, fish-cleaning stations, and a small store selling frozen bait, night crawlers, hooks, and weights. Because Clear Lake is a shallow lake the water is a greenish color and swimming in Cache Creek is not usually recommended in summer although it's fine for fishing and boating. 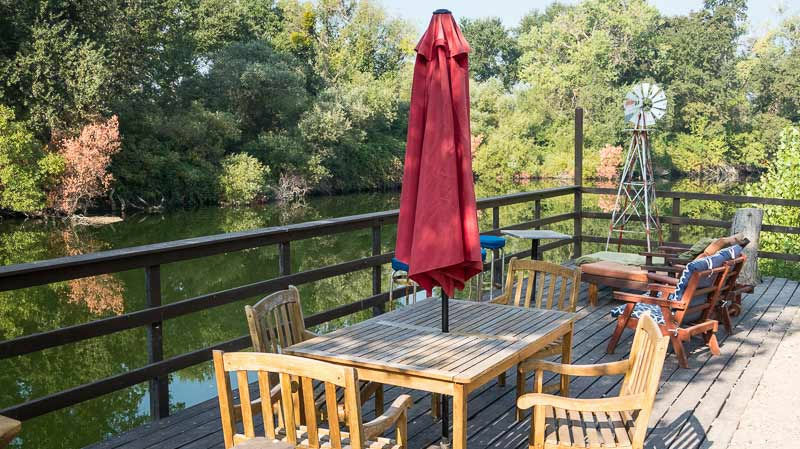 We have a nice pool where you can swim during the day and deck chairs and picnic tables by the shore of Cache Creek where you'll often see heron, egrets, ducks, and even otters. Lake County has several special events in summer. Experience the days of the the wild west in mid-June at Middletown Days, a great family event with a parade, BBQ, horseshoe tournament, chili cook off, live music, and hay rides. Celebrate Father's Day with a camping trip. Fourth of July celebrations are spread over several days with fireworks at different locations around the lake. In Clearlake there's a small parade followed by the International Worm Races, Lakeport holds a street fair, and Clearlake Oaks has a boat parade. 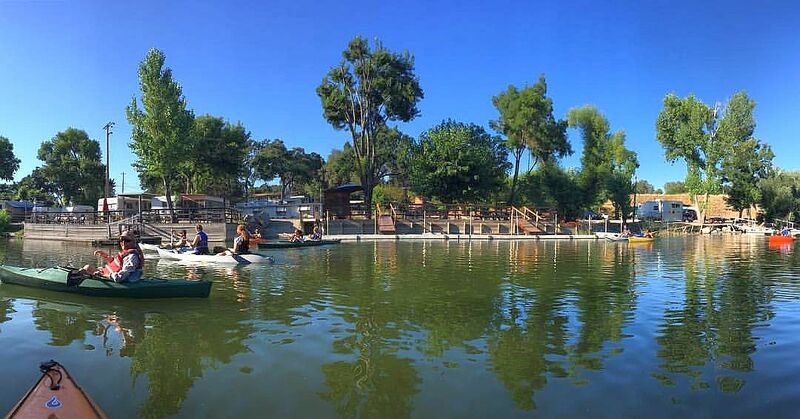 The CDFW usually schedules a free fishing day on the weekend before July 4 so you can fish right at the campground even if you don't have a license. The following weekend is the Lake County Rodeo, held at the Lakeport Fairgrounds. In mid-August, the Lakeside Hot Car and Boat Show is held in Lakeport with music, vendors, food, cars, and high-performance boats making passes by Library Park. A highlight of summer is the Lake County Fair, held Labor Day Weekend at the Lakeport Fairgrounds. Saturday night features top musical entertainment and there are lots of fun family activities and shows during the day both Saturday and Sunday. Free concerts in Lakeport's Library Park are held Friday evenings at 6PM from mid-June through mid-August. The third Thursday evening from June through September, Kickin in the Country is held in downtown Kelseyville with live music, food, and vendors. Clearlake Art Gallery holds a third Friday Gala of art and music is held, 6 - 8PM. Head to Ely Stage Stop the first Sunday of the month for the fiddlers' jam. Live music is held in several venues around the lake on Friday and Saturday nights during summer. Anderson Marsh State Park, across the creek from Clear Lake Campground, holds guided nature walks the second Saturday of the month, usually starting at 8:30. But you can hike on your own in the park any day, early mornings are usually the best time to go in summer. Summer is a good time to visit Lake County wineries. Most are open for tasting on weekends and some are open every day in summer. Wineries often hold special events in summer, too. Visit the Farmers' market, with live music and food, on Saturday mornings at Steele Winery. Have a picnic and play bocce at Vigilance Winery in Lower Lake, just a few miles from Clear Lake Campground. Or take a jeep tour at Six Sigma Winery. For more special events and the live music schedule, see the Lake County Chamber of Commerce Events Calendar. Plan your weekend with our 36 Hours at Clear Lake Campground itinerary. Softly plying the calm waters of Cache Creek in a kayak on the first warm days of spring is one of life's great pleasures. Birds abound, their songs and primitive squawks surround you, nature's fleecy blanket. 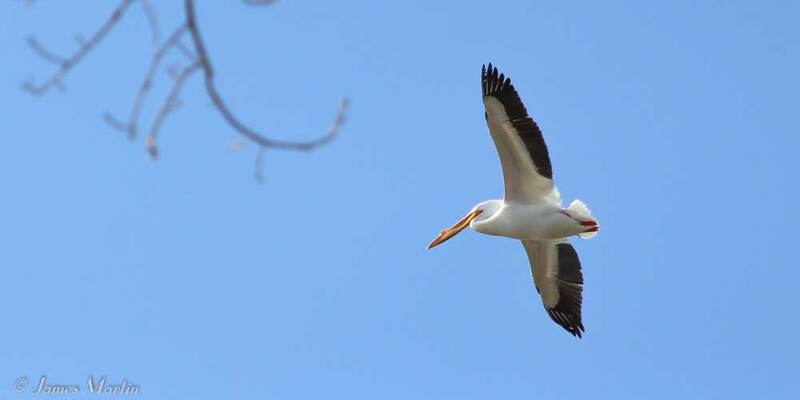 In February the white pelicans fly above you, turning from silver to white as they bank in the turns. And all the while you're getting exercise and fresh air. But let's add a little adventure to this whole scenario. Let's say you take that expensive camera or cell phone out in the kayak with the idea you might capture the spirit of the waterways in your own personal way. Ah, now there's danger of capsize, sending your expensive toy into the shallows. Now we're on to something. All adventures need a bit of danger, that tiny surge of Adrenalin that makes you hyper aware you are doing something special. So let's go birding. In a kayak. That part is easy. You don't need to know much about birds. You don't need to own a kayak. Just rent a kayak from us. If you have a smart phone and want to know what you are seeing and hearing, download the excellent app called Merlin Bird ID App by The Cornell Lab. Now, fully equipped, you are ready to float amongst the creatures large and small. Not only can you identify them and hear their song, but you can, if you want, post information on your sightings through the Merlin app and add to the general knowledge of bird life on the planet. 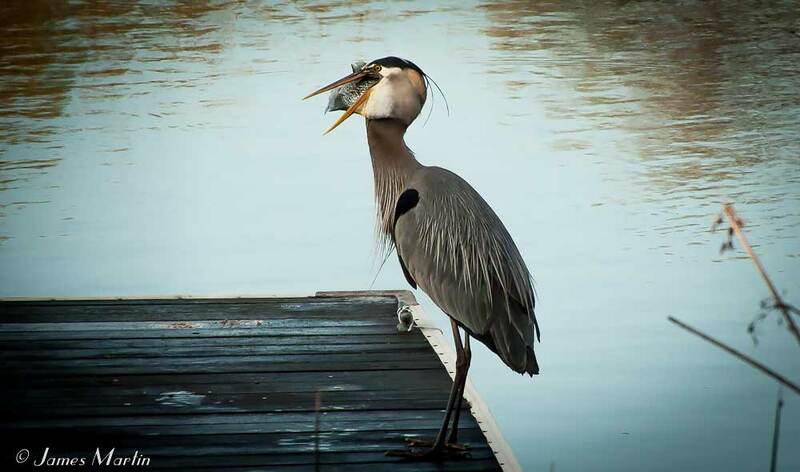 Imagine bobbing in the water near a boat slip and wondering, "will that Blue Heron, Great as it is, get that crappie down its gullet?" From the launching ramp at Clear Lake Campground turn right and continue on Cache creek with your back to the highway. buckeye, California bay, and native California black walnut that line the creek you'll see plenty of birds, and in late April and into May you'll likely encounter large carp mating noisily in the shadows and you might come upon turtles sunning themselves on low branches and rocks. Optionally, you can paddle a bit more to have a bite to eat at The Spot, a local burger joint that has a pier and dock where you can tie up your kayak and eat very fine burgers and other fine sandwiches on the patio. If you're wondering what the distances for the itinerary might be, it's approximately 2.75 miles to The Spot, 1.9 miles to Indian Island. Great Blue Herons, Red-shouldered hawks, great horned owls, Anna’s hummingbirds, American crows, wood ducks, phainopepla, golden eagles, and northern orioles thrive in Riparian Woodland. Enjoy your kayak trip. Don't let go of that camera. January 30 is National Plan Your Vacation Day and it's the perfect time to book a camp site at Clear Lake Campground. If you like to camp, why not plan a camping vacation each month? Clear Lake Campground is now open all year so if you have a small RV (up to 30 feet) you can even come up in winter. Clear Lake is a top place for fishing and has been rated as the second best lake in the United States for bass fishing. It's a prime location for birding, kayaking, or just relaxing. Lake County also has live music, special events and activities year round. Monthly events include the Fiddlers Jam at Ely Stage Stop the first Sunday of the month and guided walks at Anderson Marsh most months on the second Saturday morning. 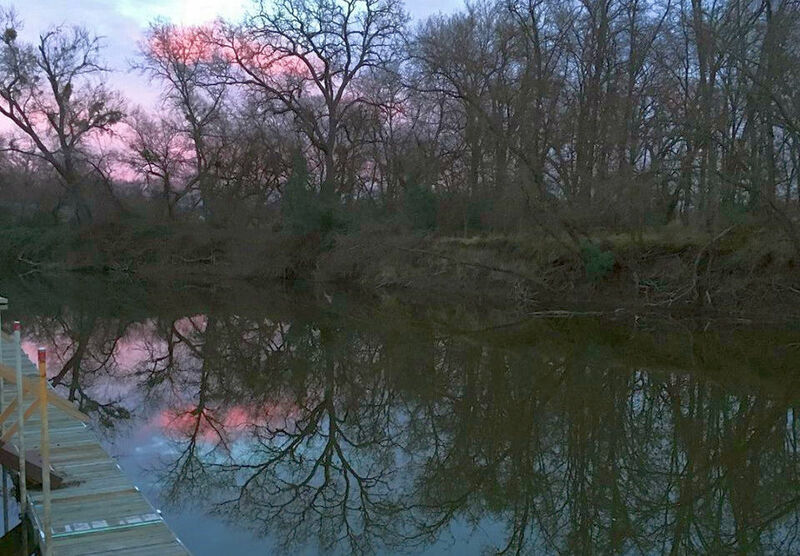 Start the year with a guided walk at Anderson Marsh State Park, across the creek from the campground. Join the First Day Hike on January 1, usually starting at noon. February is a great month for a wine weekend. Several wineries have special weekend events in February and most tasting rooms are open too. Barrels & Verticals Tasting is usually held the last Saturday of the month. March is when fishing really starts picking up. The Clear Lake Bass Tournament is held in mid-March. April is usually a top month for kayaking and boating. Kayak rentals can be arranged right at the campground. Spring break is a great time to come to Clear Lake Campground. In May one of the top events is Heron Days, sponsored by the Lake County Audubon Society. Held right at Clear Lake Campground, activities include pontoon boat tours in Anderson Marsh. 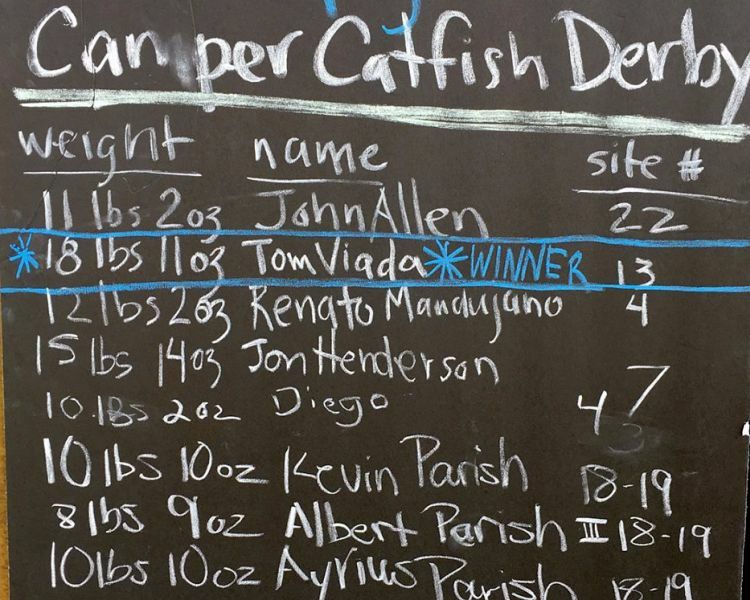 The Catfish Derby, held in Clearlake Oaks, is billed as the largest catfish tournament west of the Mississippi. Wine Adventure Weekend is held later in May, with more than 25 wineries participating. Mother's Day is in May so if your mom likes to camp, treat her to a weekend at Clear Lake Campground. There's a special Mother's Day concert at Soper Reese Theater in Lakeport and several restaurants have a special Mother's Day brunch. June is the month to relive the wild west. Upper Lake Wild West Day is usually held the first Saturday of the month, with a parade, ice cream social, BBQ, live music, and activities for kids. Mid-month is Middletown Days, with a parade, BBQ, horseshoe tournament, chili cook off, hay rides, and even Cowboy Church on Sunday. A camping weekend makes a good Father's Day gift, too. 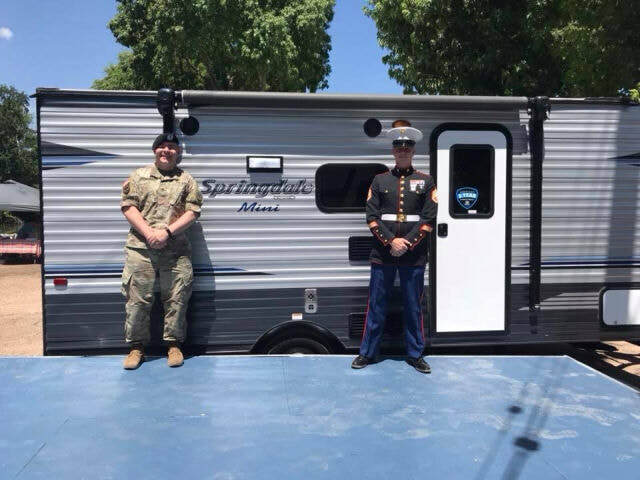 4th of July is a great time to come to Clear Lake Campground. Fireworks are spread out over several nights at different locations around the lake and there's a street fair in Lakeport. In Clearlake there's a small parade followed by the International Worm Races. The CDFW usually schedules a free fishing day on the weekend before July 4 and you can fish right at the campground. August events include free Friday night concerts in Lakeport's Library Park and the Lakeside Car and Boat Show in mid-August with music, vendors, food, and high-performance boats making passes by Library Park. The first weekend in September is the Lake County Fair held in Lakeport with lots of fun events for the whole family. The Kelseyville Pear Festival, a huge street fair and parade celebrating Lake County's agricultural heritage, is the last weekend of the month. The first Saturday in October is the Konocti Challenge Cycling Race. Participants can sign up for one of 4 different bicycling routes around Clear Lake, ranging from a 20 mile family fun ride to a century ride. Steele Winery usually holds a Harvest Festival the second weekend of October, with lots of fun activities for the whole family. In November there are several arts and crafts fairs including the Dickens' Faire, the last Saturday of the month in downtown Lakeport. Clearlake's Christmas parade is held the first Saturday of December. Anderson Marsh holds Christmas at the Ranch in December also. For more special events and the live music schedule, see the Lake County Chamber of Commerce Events Calendar. 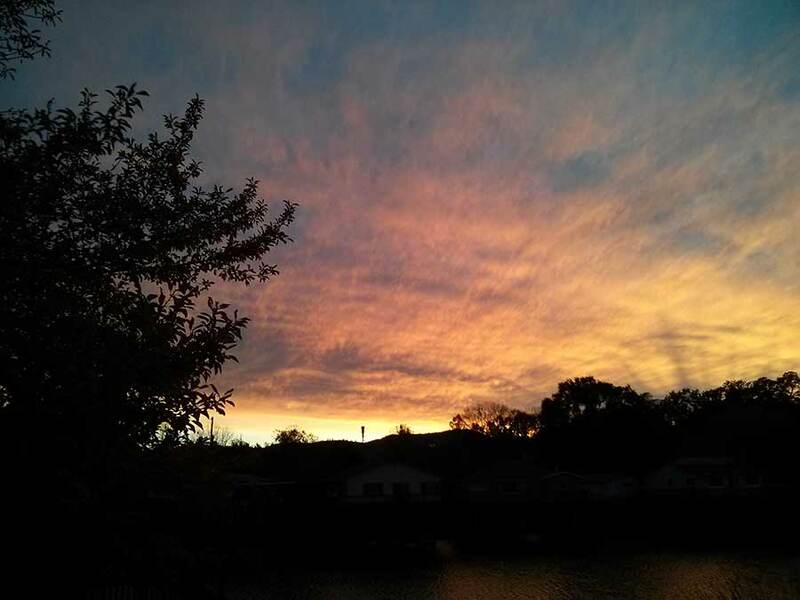 Winter can be a nice time to visit Lake County if you don't mind cold weather. Come to Clear Lake Campground in your small RV or 5th wheel and enjoy the peace and solitude. While you may get some rain and very cold nights, you're likely to have some beautiful crisp days and clear, starry nights. Winter is prime season for star-gazing and bird-watching. Fishing is often very good during winter too. Although it's too cold for swimming in winter, there are many nice days when you can go out in a boat or sit by the creek and fish. Fewer people on the creek and the lake make it easy to find a peaceful fishing spot along the shore or enjoy boating without crowds. Big tournaments don't usually start until March, the first being the Clear Lake Team Bass Tournament. You can also rent a kayak and enjoy a peaceful paddle. 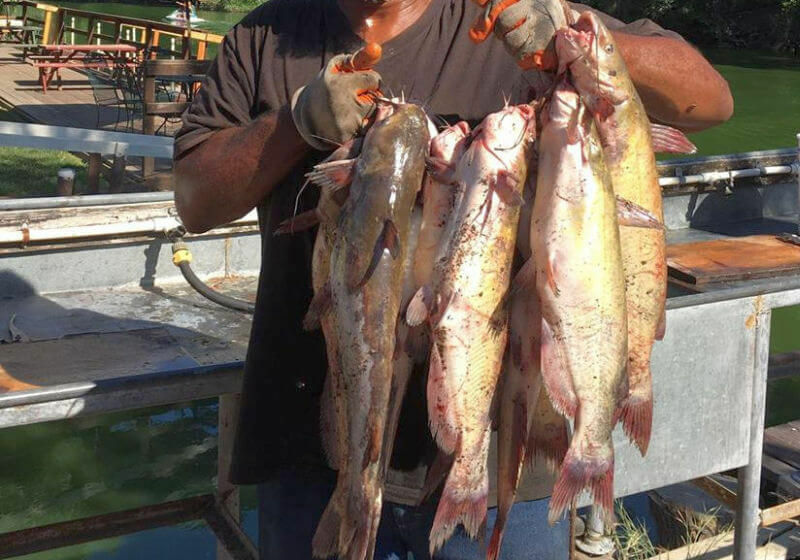 At Clear Lake Campground we have great fishing spots right on Cache Creek where catfish, bass, and crappie can be caught. Water birds often put on a show along the creek, too, so you can sit by the creek and enjoy watching Blue Heron, Egrets, Western Grebes, and other water fowl. Migrating pelicans come to Clear Lake each winter and sometimes show up right by the campground, a beautiful sight. You might also spot a deer across the creek or an otter swimming along. For more birding opportunities or for short hikes, head to Anderson Marsh State Park. It's just across the creek from the campground and a short drive to the entrance. Part of the park is an Audubon bird sanctuary. The winter bird count usually shows over 300 bird species. If you're here on New Year's Day, the First Day Hike is a great way to start the new year. There are also smaller group guided walks the second Saturday morning of the month starting in February. While some wineries close during the winter season or have shorter hours, there are still good places to taste wine, especially on weekends. A special wine and chocolate tasting event is usually held at wineries in February. Boatique Winery, about 15 minutes from the campground, has an unusual collection of rare wooden boats along with good wines. Rosa d'Oro and Wildhurst have tasting rooms right in downtown Kelseyville and there's a brew pub, Kelsey Creek Brewing, for those who prefer beer. Soper Reese Theater in Lakeport has concerts and special performances throughout the year, including 3rd Friday Live each month and a special New Year's Eve party. In Clearlake, the Spot sometimes has live music on weekends. Other places to look for live music include Kelsey Creek Brewing, Richmond Park Bar and Grill, O'Meara Brothers Brewing Company in Lakeport, and the Blue Wing Saloon in Upper Lake. Lake County has several popular casinos too and they usually broadcast the football games on the big screen if you want to keep up with sports. Check the casinos for other special events, including New Year's Eve celebrations. Forget the white water swirling into blackness. It's for kids. Besides, you'd need a helmet. You need to go up a lazy river. I mean people don't stare all glassy-eyed at roiling water, do they? You want mesmerizing? Then you want smooth water, barely movin' along. You want Louis Armstrong's version of the dream life. You want a kayak, a paddle, and a guide who can make it all dreamy and trouble-free. Where can you have this experience? 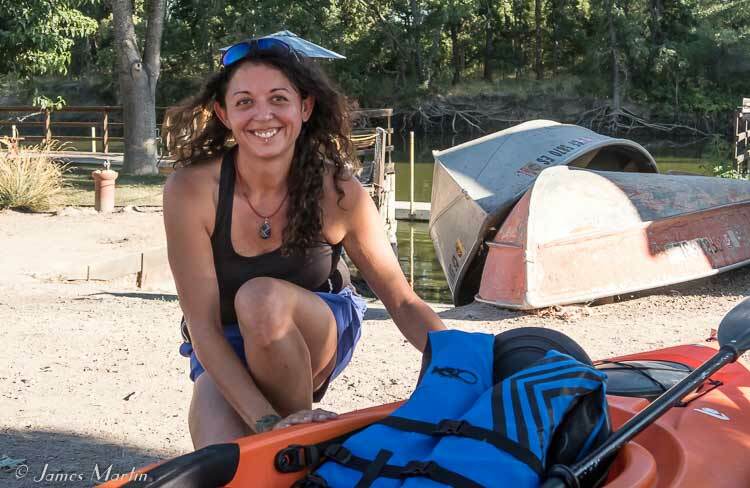 Jessica Sandage of Pedal & Paddle will provide all you need to paddle up Cache Creek. In fact, if you head on down to Clear Lake Campground on Saturday night at 6pm you can participate in a group paddle with Jessica, who will make sure you're properly equipped. Guess what Pedal & Paddle's motto is. "Peace is a paddle away." Louis would be proud. Jessica grew up in these parts; she is part of the Pomo tribe that enjoyed the lake and the immense variety of wildlife the wetlands support. Look to the sky for the blue heron, egrets, geese and ducks. Look down to the waterline for the grebes and their shallow-water nests as well as the turtles that jump off the rocks or tree limbs milliseconds before you poke at the camera button in futility. Don't miss the river otters and deer. You might have to go a bit out of the way to see a bear, but they're around the creek near the dam at times. Head on over to Clear Lake Campground at 6pm on Saturday, decide on your ride (sit on top or sit inside kayaks--or a canoe for two). Bring a hat, sunglasses, camera, bug spray and water. Have a good time, get some easy exercise, and find your peace. It's getting hard to find that last bit these days, so get excited to be away from the TV or those video games without missing them. 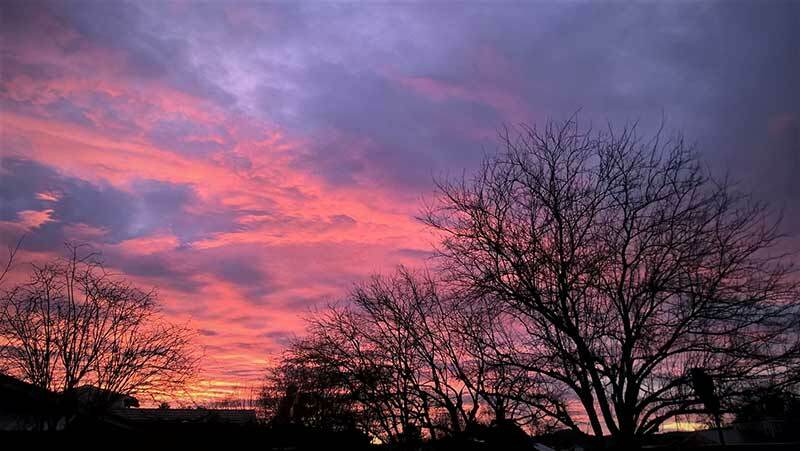 We've ignored it for such a long time that natural reality has become the new "wowza!" Pedal and Paddle provides kayaks, paddle boards (and coming soon, hydrobikes) from their location at Austin Beach Park, 10477 Lakeshore drive in Clearlake. They are open every day except Wednesday from 8am to 6pm. They offer an hour of water fun for kids accompanied by a parent from 2-3 pm on Saturday and Sunday. They can deliver kayaks to your location around the lake. See their facebook page for current hours and contact information. If you don't want to drive and paddle, how 'bout reserving a space at Clear Lake Campground and stay the night to let your ravaged lungs get acclimated to Lake County's clean air before you have your adventure? 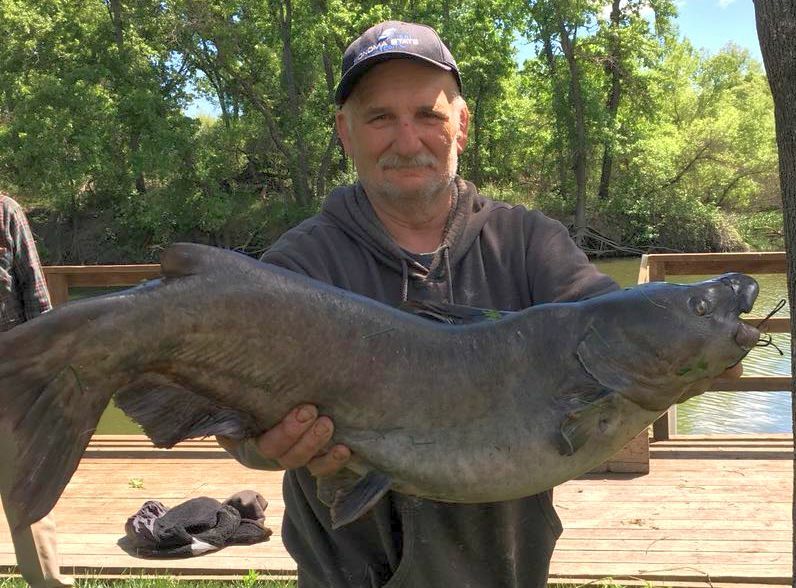 Your kids will love the pool and might have the chance to marvel at the monster catfish folks catch off the banks of the creek. 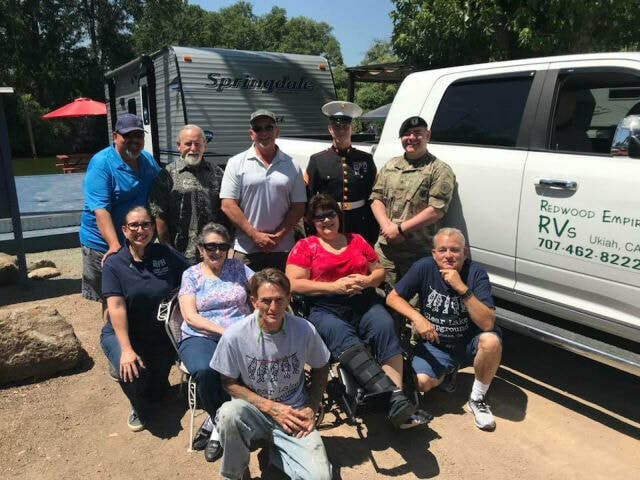 If you'd like to get notifications of events like this and other newsworthy items surrounding Clear Lake Campground in your inbox, sign up for our free newsletter below.